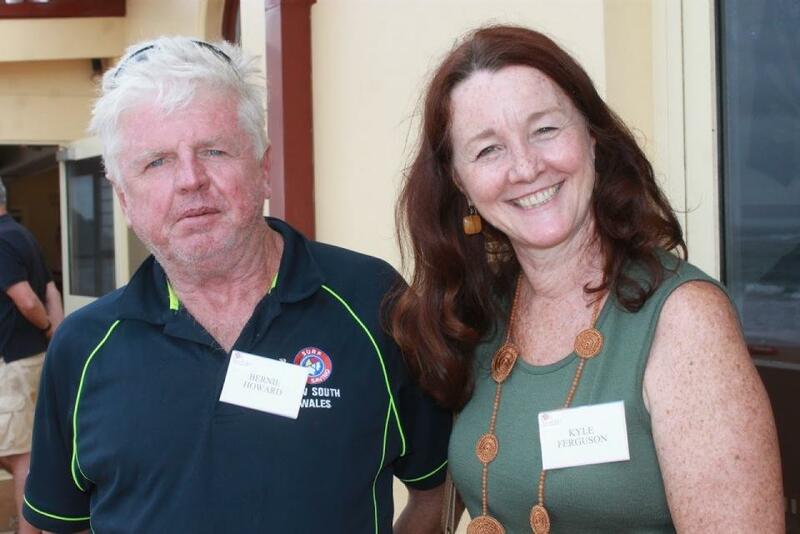 L to R: Deputy Mayor of Pittwater Kylie Ferguson with Gary Cook, Hon. Rob Stokes, MP for Pittwater and Hon. Bronwyn Bishop, MP for Mackellar - A J Guesdon photo. Overcast conditions and a strong swell running with waves up to 2 metres on an out-going tide confronted the 600 plus entrants who were at Newport for this first ocean swims of 2016. Two events were scheduled, a 800 metre swim to be followed by a 2 km event. The first swim started at 9am but with a reduced number of starters after a decision of "not for me in that surf" by quite a number of entrants. First home through a nasty shore break was 19 year old Ollie Signorini in time of 10.09 minutes followed by the female winner Maddie Spencer aged 19. All other swimmers finished safely but the Southerly wind increased and brought rain. The main event was delayed hoping for an easing of conditions. It was not to be so and for the safety of swimmers, it was decided by organisers to cancel the main 2km swim. At the Newport Club to present age group winner medals in the 800 metre swim were the Federal Member for Mackellar, the Honourable Bronywn Bishop and Deputy Mayor of Pittwater Council, Kylie Ferguson. Rob has come here today to make a special presentation of an award to Gary Cook. We were going to do this in between the medallion presentations for this year’s Newport Ocean Swim, but as you know, there has been a bit more swell then forecast and we have cancelled the second swim, for safety reasons, as a result. Rob, who took part in the first 800metre swim, has kindly returned after this morning’s first event to make this presentation – so I’ll hand over to him. Thanks Sandy, thanks to everybody. It’s great to be here with my parliamentary colleague, the Honourable Bronwyn Bishop, as well as the Deputy Mayor of Pittwater, Kylie Ferguson. 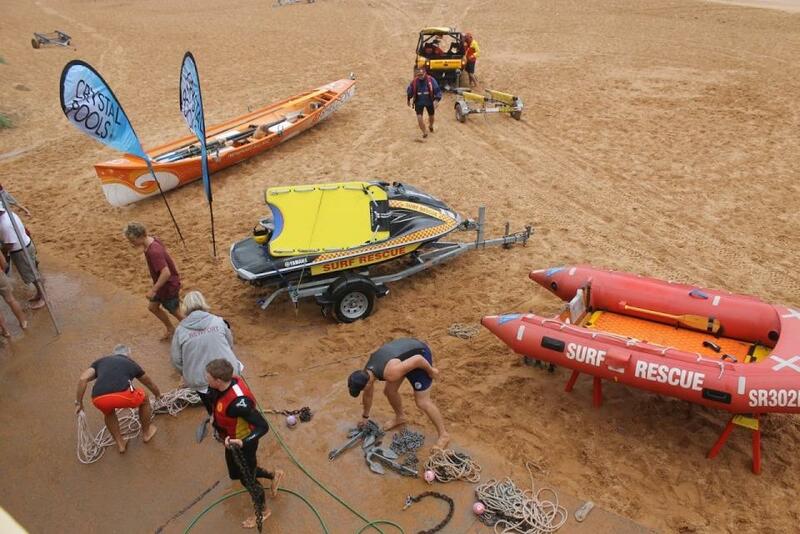 Thanks go to Pittwater Council for providing funding and supporting the Newport Swim. These ocean swims are a great part of the cultural calendar of Pittwater and really put us on the map in the way we contribute to our community. Thanks to everybody who worked behind the scenes for the Newport Swim and for all the water safety throughout – I did the 800 metre swim and it was great. The club’s call in not going ahead with the 2 kilometre event was the right one. I spoke to a few people who were quite nervous about the conditions, so I think there were quite a lot of swimmers who were happy with the decision that was made. On behalf of all of us that are elected to serve our community, one of the great things about being in community service is we get to meet some wonderful people who do wonderful things in the community. Right on top of this list would be Gary Cook. 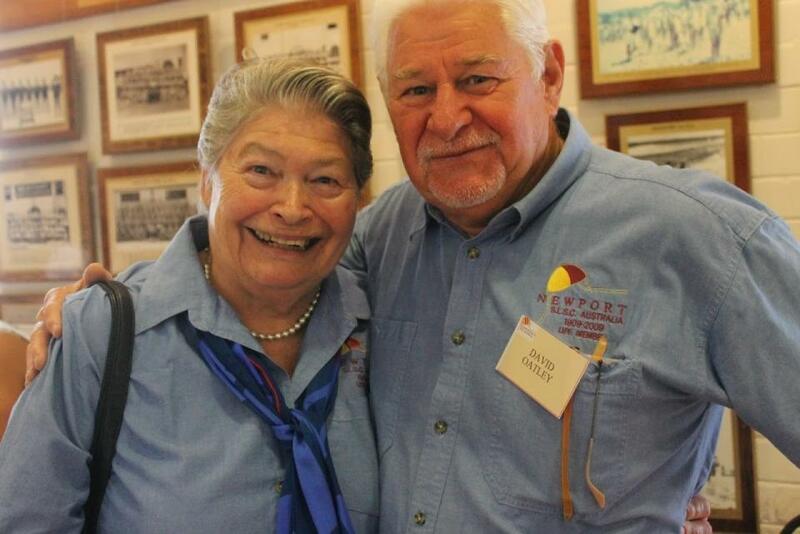 Gary has served this community faithfully for more than 50 years. By my reading I understand that 2016 marks 55 years of continuous service as part of Newport Beach Surf Life Saving Club, as Gary has served here since 1961. Gary, you have held a dazzling array of roles within this club including President, Club Captain and Deputy President. 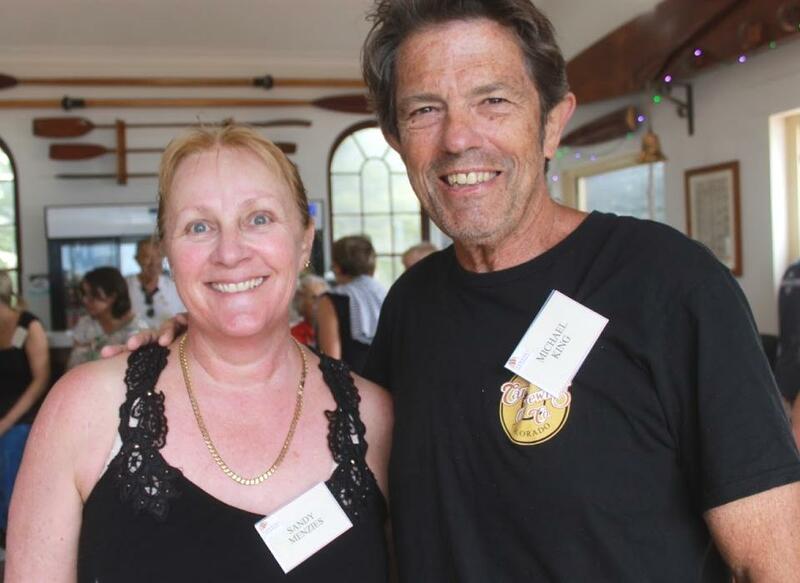 You’re a Life Member of both New South Wales Surf Life Saving and Sydney-Northern Beaches Surf Life Saving and are an embodiment of service to surf life saving. You’ve really been in the hall of heroes of surf life savers in this country. That’s why the New South Wales Premier has determined to give you the NSW Premier’s Award, which is the highest award for Community Service the NSW Government can give. On behalf of all of us, and particularly on behalf of the NSW Government we’d like to acknowledge your service to the community with a NSW Premiers Award – thank you Gary. Firstly, thank you to everybody for turning up today. Unfortunately the weather hasn’t turned out quite as we hoped. We erred on the side of safety which will always be the way to go in these circumstances. It’s very nice and I feel very privileged to receive this NSW Premier’s Award. I’d like to thank a few people. Firstly my wife, my mum, my daughter and son for letting me do what I do, I enjoy it very much and would like to continue doing it for quite a while yet. I’d also like to thank Bob Langbein, who was one of the mover and shakers behind this award, together with the support of the club – thank you very much all of you for that. Just to give you a small insight into how far I do go back – when I was about 12 we had a weekender across the road in Foamcrest avenue, Newport. One of these holidays I must have said to mum and dad that I was bored and was perhaps making a nuisance of myself, so they said to me ‘go over to the surf club and make yourself useful’. That said, at that time I wasn’t old enough to be a member of the club. What the older guys in the club, who were all about 21, did say to me was, ‘you can help us out by washing out the shower rooms and the first aid room’, and that was my initiation into surf life saving. About six months later I got my qualifying entry and began as a Junior. I have a lot of good memories associated with this club and I have seen all sorts of rises and falls over these years. I recall at one stage during the early 1970’s when we almost closed up. We called a meeting in the men’s change room, there was about 18 to 20 of us, with Michael’s dad Bert King among them. We discussed whether we’d close up or go forward and multiply and try and get our mates in to help us work all the different parts of the surf club. Over a period of time, with the help of Bilgola Surf Club who provided members to assist with Patrols, that’s what we did. At the moment we’re on a very big high and I’m hoping we continue to be so. I’m very proud to be a member of Newport Surf Club and I’d like to continue to serve here through the years to come. 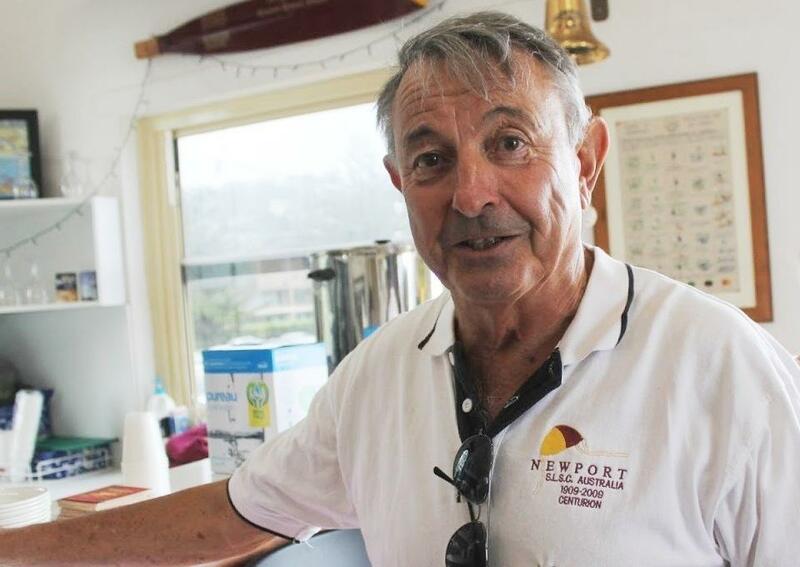 Below is a small insight into Gary’s service at Newport Surf Club and elsewhere in our community. 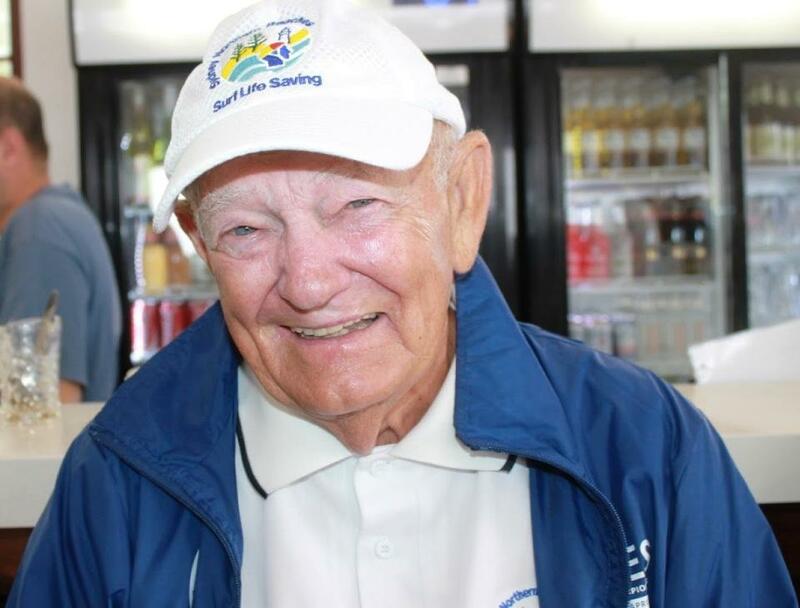 We were also privileged to celebrate Gary Cook as our Profile of the Week (Issue 133) where you can read more about the gentleman’s work and love of Pittwater. 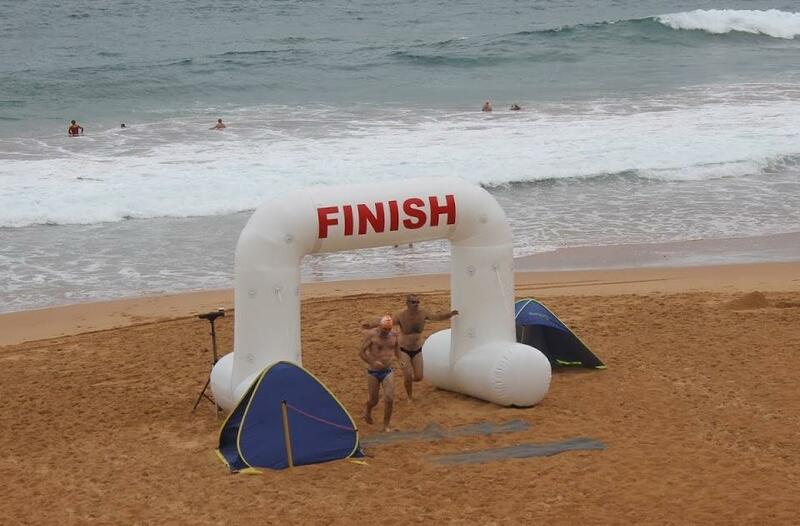 The Pittwater Ocean Swim Series is funded by Pittwater Council to aid the fund-raising events for the lifesaving clubs. 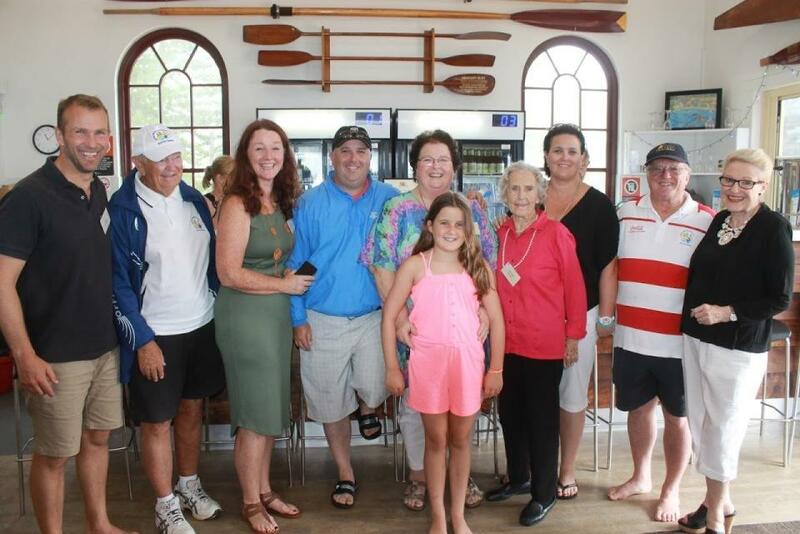 Entrants fees and sponsorship funding for the swims generally bring in a combined Income of around $140,000 for the Pittwater Clubs. 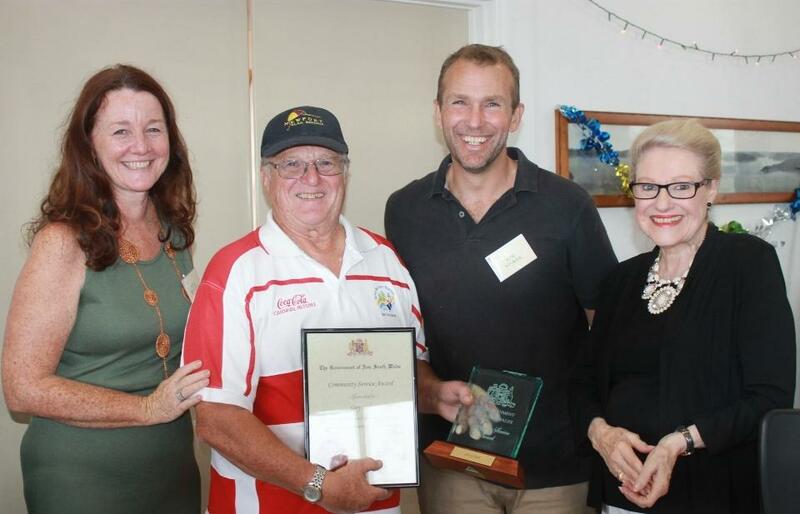 The funds raised help our local surf life saving clubs to provide equipment and related services to continue their Community work. The next swim is at Avalon Beach on Sunday 17th January, Mona Vale the following Sunday (January 24th) and then, on January 31st, the Big Swim from Palm Beach to Whale Beach. Transport of Donated items for Newport Red Cross from donors for past 10 + years. Mother Thelma Cook a DVA Pensioner has been a shop volunteer there for past 15+ years. The Cook Family, with Friends and Supporters!